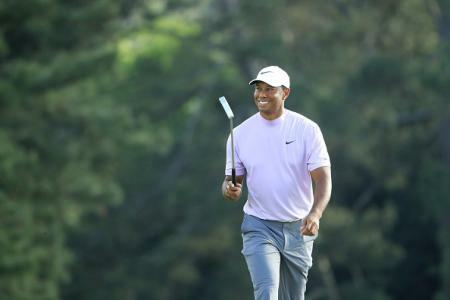 Commentators have been calling it the European Tour's finest ever day as the DP World Tour Championship served up a moving day birdie festival, and we are still no nearer to knowing who will top the Racer To Dubai tomorrow night. 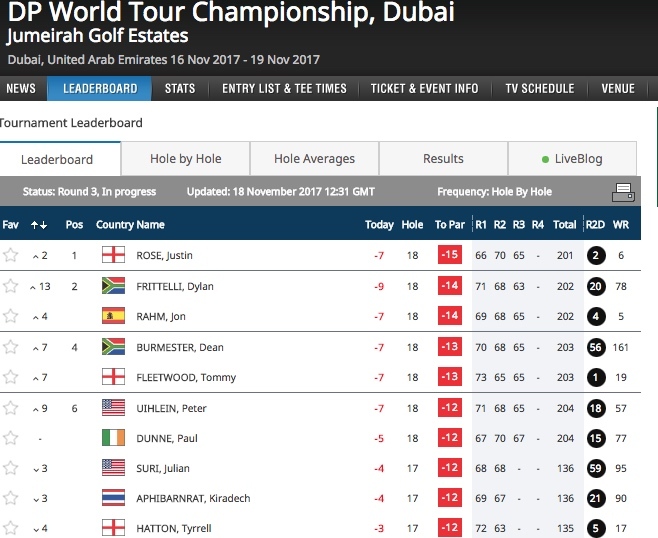 As the dust starts to settle on a remarkable day three, it looks like this... Justin Rose will take a one-shot lead into the final day of the DP World Tour Championship, Dubai with the Race to Dubai set for a grandstand finish at Jumeirah Golf Estates. Rosey has won his last two European Tour starts and entered the eighth Rolex Series event of the season knowing a win would see him overtake Tommy Fleetwood and be crowned Europe's Number One for the second time. He seized the initiative to top the projected Race to Dubai Rankings presented by Rolex after day one but a bogey on the last in his second round meant Fleetwood was back in the ascendancy heading into the weekend. Fleetwood came home in 30 for a second consecutive round of 65 on Saturday to sit at 13 under but Rose matched him to be two shots better off and one ahead of Dylan Frittelli and Jon Rahm. A thrilling day three saw Rose and Fleetwood share 15 birdies, with Fleetwood bagging eight in his second consecutive 65, clawing one shot back from Rose who shot a 66. 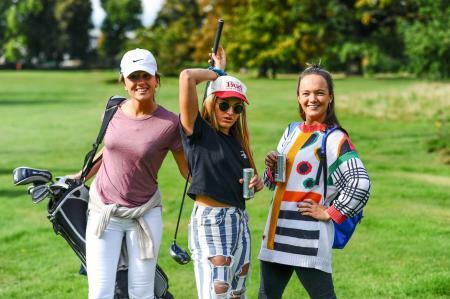 They are separated by two shots only and as Rose has to win the event to secure the Race To Dubai, better get your popcorn and beer ready and strap yourselves in for a roller coasters finale! !